Play in OBT, Win Exclusive PS4 Reward! Enjoy the fun of Genesis! 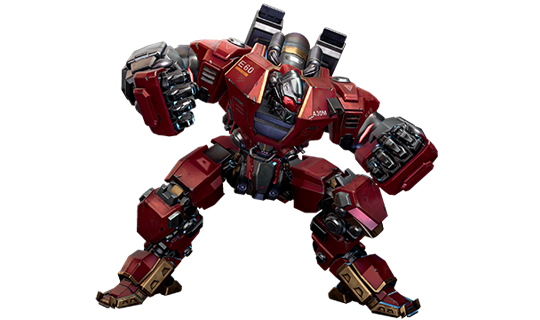 Joules fires a biospark that damages the target, then ricochets off nearby enemy units, damage dealt is restored as health. 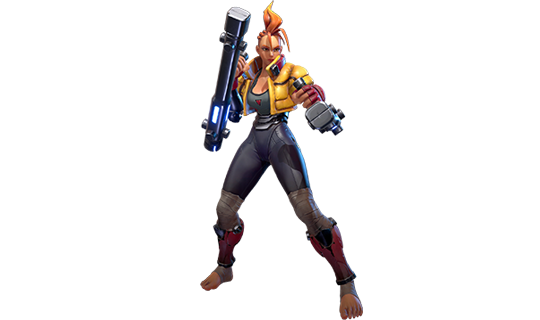 Joules emits a deadly electric blast, dealing damage to enemy units in the target area. 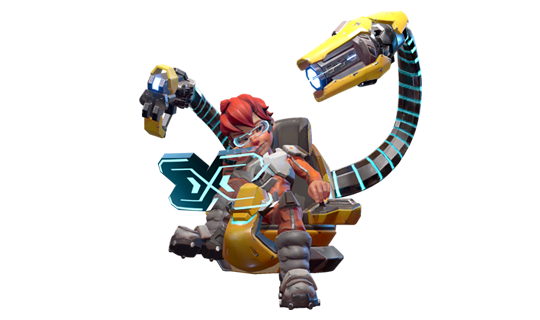 Joules' basic attacks and abilities become electrified, dealing additional damage. 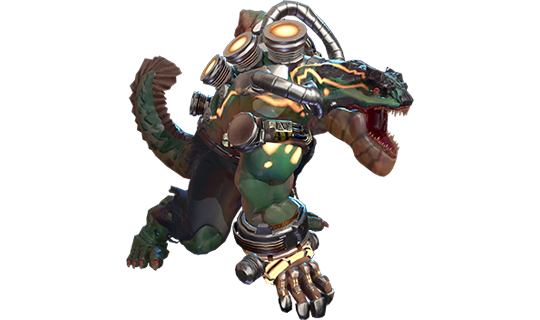 Whenever nearby enemy units take damage from his electrified attacks, Joules gains increased armor and energy resistance. Effects can stack. Every 1.8 seconds, fires an electric shock wave at the nearest enemy unit who has been electrified by Joules' attacks. All enemy units in the path of the shockwave take damage. Periodically removes negative status effects. Heracles charges forward, damaging and pushing back units in his path. Enemies that collide with terrain are stunned. Reduces damage taken from a distance. Damage reduction increases once Heracles' health falls below a certain value. Heracles strikes the ground, damaging nearby enemy units and throwing them into the air. Once an enemy unit has been damaged twice by Heracles' abilities or basic attacks, the next basic attack deals additional damage equal to 3% of target's max health and stuns it. Not just a half god, his incredible strength could rival that of Hercules himself. Some say he could shatter the foundations of Pantheon. Minotaurus calls forth his primal strength, increasing his movement speed and attack speed. Damages and stuns nearby enemies, reducing their movement speed and attack speed for a short while. Mounts a savage attack with a chance to deal additional damage and stun the target. 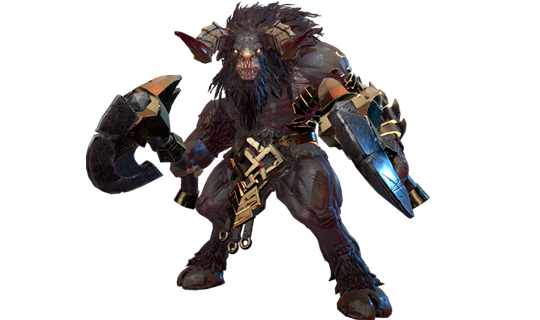 Minotaurus enters a murderous rampage, weakening enemy's defense and slowing them. Weakened units are revealed. Never underestimate this mythical beast from the deepest labyrinth of Crete - or you’ll pay in blood! Fires a tracker that marks the first unit it hits, exposing the unit. Hit this unit twice to detonate the tracker, dealing percentage damage equal to unit's max health and slowing the unit. Dashing ahead, Kat's next basic attack hits twice. After entering combat, Kat's attack speed gradually increases. 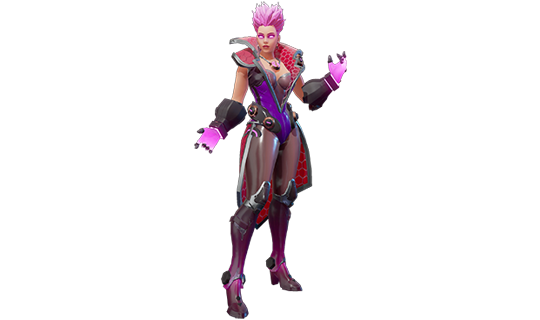 When she exists combat, her movement speed gradually increases. Effects can be stacked several times. Fires a barrage in target direction, each hit deals damage. Kat is also able to move when casting. 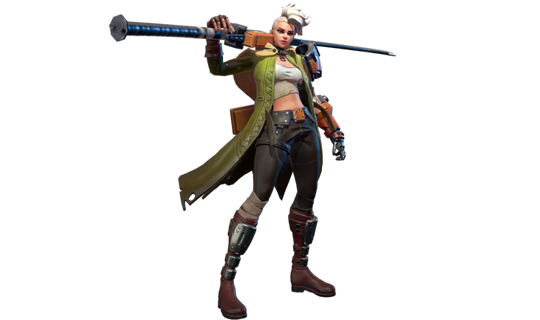 A time-traveling sniper from the future who doesn't miss. Better find some cover! E-60 activates his jet engine and launches into the air, increasing movement speed for a short period. When Power Jet is active, E-60's next basic attack deals additional damage and will stun the target if target health is lower than E-60's. Fires two missiles that prioritize enemy heroes. Missiles cause area of effect damage and reduce enemy movement speed by 20 percent. Speed reduction effect stacks. Whenever E-60 receives or deals damage from a basic attack, his physical damage resistance and health regeneration are temporarily increased. Skill effect stacks. E-60 launches into the air, smashing down and causing massive area damage. Enemies in the epicenter receive double damage and are knocked into the air. E-60's shield is temporarily increased based on the number of enemies within the blast radius. 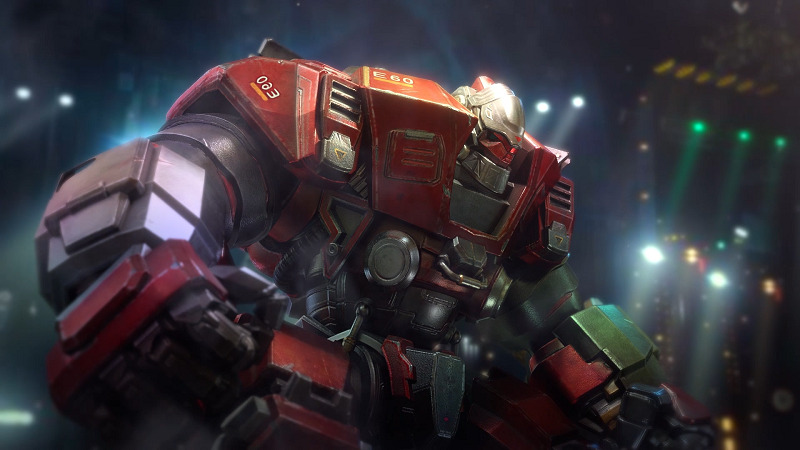 The prototype of the E-60 series, this robot won the Mech Wrestling Championship 7 consecutive times. It is now known as the Crimson Storm. Lidia tumbles forward, quickly reloading her ammo clip. Genetic engineering has greatly improved Lidia's battle intuition. Every attack she makes temporarily increases her critical chance. Critical chance can be increased to a maximum of 100%. Lidia fires a cryogenic bullet directly ahead of her that slows and deals damage to any enemy it hits. Lidia switches to her artillery cannon and blasts the enemy. This skill does splash damage to enemies in the vicinity of the target. A master weapons expert, Lidia's philosophy is there are no problems that can't be solved with bullets and explosions. 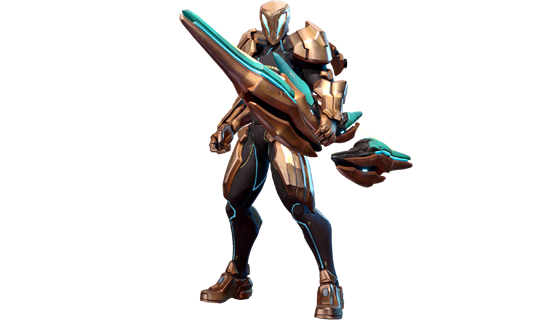 Galath charges forward gallantly, dealing damage to enemies in his path. 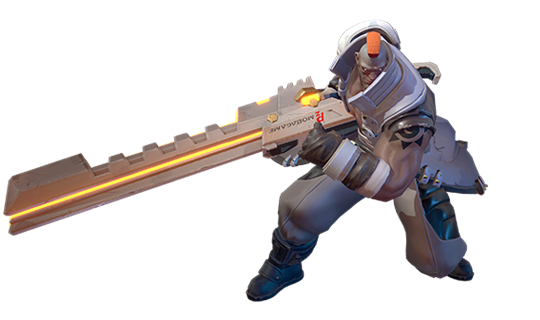 Also deals additional damage to target location at the end of his charge; if this damages an enemy hero, his cooldowns are decreased. Activates the force field in Galath's super-alloy armor, increasing the amount of his base shield and granting additional shield based on his current level. Nearby enemy units are burned by the force field, taking damage over time while it is active. Galath sentences his enemies with impartiality. His attacks have a chance to crit and stun the target. The light of the Holy Grail increases Galath's overall combat strength. His movement speed and defense are greatly increased, and basic attacks deal additional true damage. Sir Galath, armed with strength and virtue, defends the knighthood with honor and chivalry. Deals damage to enemies in a straight line. Units hit a second time by this skill within a certain time take extra damage and are stunned. This skill can hold 2 charges. Creates electromagnetic shields around Amber and the friendly hero with the lowest health percentage within range. This skill also increases Amber's movement speed. Produces one magnetic particle every few seconds which can be used to slow and damage a target, until the maximum charge is reached. Target hit by multiple monopoles takes decreased damage from each hit. Calls forth a powerful magnetic storm, stunning nearby enemy units and dealing damage over time. A tyrant queen who can summon an electromagnetic storm on a whim. Bow down! Nemo swings his tire around, damaging and stunning nearby enemies. Nemo body slams and stuns a target, dealing damage to both the target and himself. Ability has no effect when the target is more than a certain distance away. Nemo can reflect physical damage taken. This reduces enemy's health regeneration. 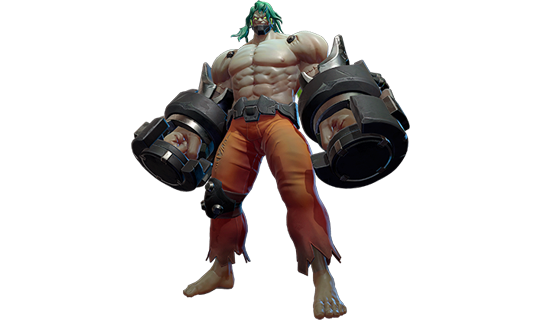 Nemo rolls around in his tire, damaging nearby enemies and knocking them into the air. This ability cannot be interrupted. He used to be the leader of the Doomsday Squad, but developed a taste for sweet things. 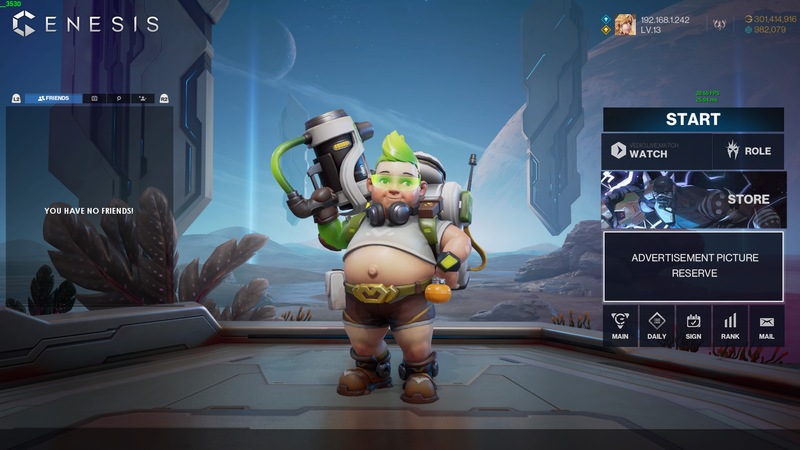 Call him fat and you will regret it for the rest of your very short life. 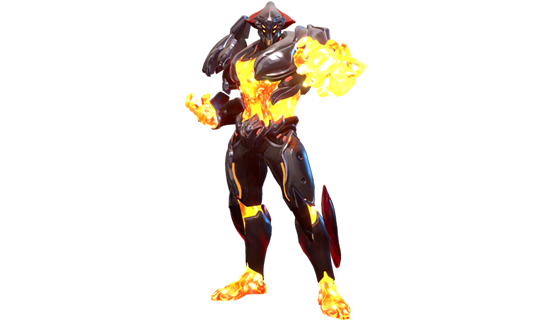 Eros fires an energy bolt at his target that slow and deal damage. Damage is doubled for neutral units. Eros activates a healing spectrum, restoring health to himself and nearby friendly units every second. Total health restored per second is distributed evenly among all friendly units in range. Permanently increases the power of his attacks and grants him additional attack range. When Eros is hit by a basic attack or a targeted ability, the attacking unit's attack speed will be reduced for several seconds, this can be stacked a couple of times. The emissary of love, his punishment is far worse than the pain of heartbreak. After charging his weapon for a second, Sion hurls it at an enemy target, damaging and stunning it. Sion smashes down at target location, damaging enemies within range. Those closer to the center suffers greater damage. 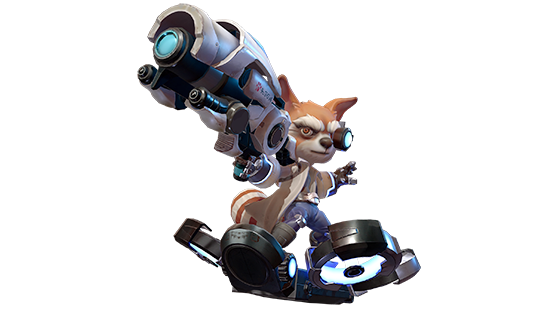 Sion's basic attack will periodically unleash an energy wave, damaging and lowering enemy's hit chance. 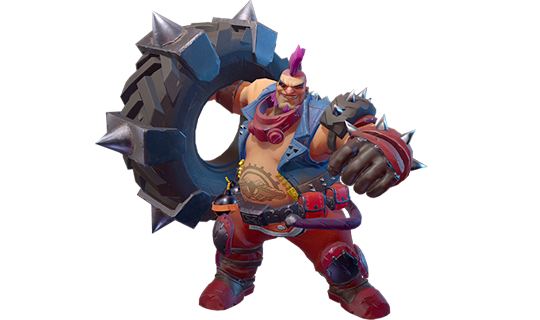 Sion spins his blades in a circle, dealing full damage to targets within half range and 50% less damage to other targets within range. A lizzard riding a massive, hulking brute of a mech. Unlike his size, his power is unrivaled. 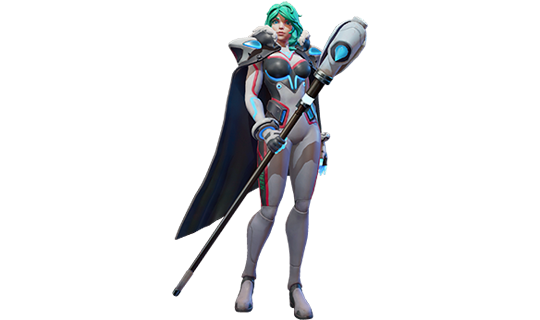 Selinda changes her batons for a second and deals damage to enemies in a line directly ahead of her, and reduces their energy. Selinda launches herself toward the target area and gains increased movement speed. Selinda's attacks deal extra damage that spread to nearby units and slow them. Selinda traps her opponent in a inescapable boxing ring. While in the ring, her opponent takes extra damage and Selinda takes decreased damage. Defending champ of the Underground Arena, Selinda's every move is deadly. Kannazuki strikes the area ahead of her, damaging enemy units and pushing them back. This skill can hold up to three charges. Pops a nearby enemy into the air and slams them into the ground. Slows the target and deals damage to all enemy units in the vicinity of the target. Kannazuki throws her grappling hook at an enemy within range to pull him in. Damaging and reducing the target's armor. Using Musashi's greatest secret, this technique allows Kannazuki to attack her target with a flurry of attacks. Enemy units in the vicinity of the target take damage as well. Kannazuki is invulnerable while executing her attacks. Don't be fooled by her delicate beauty, Kannazuki is deadly with the blade and will cut down anyone who think her unworthy. Lobs a vial containing a stabilization concoction that heals friendly heroes/damages enemies in the target area over time. If the target dies while Stable Concoction is active, Chris receives additional gold. Fires a UFO at an enemy unit that bounces, dealing damage and stunning. Effects are doubled for regular units. 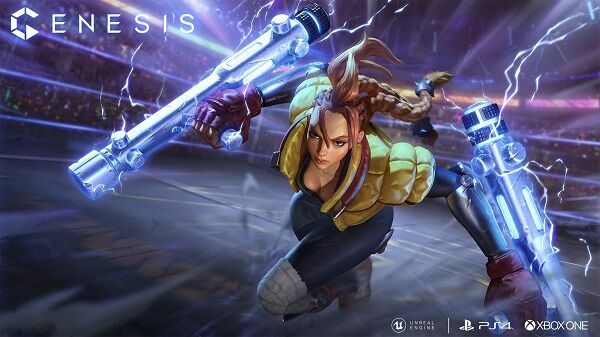 Chris' abilities and basic attacks deal damage over time to enemy units, reducing their attack speed and movement speed. Effect lasts a short while and can stack several times. Chris tosses a globe of energy ahead of him. The globe spins forward, dealing damage to nearby enemy units. Descendent of the famous alchemist Michael Smelter, Chris is a chubby bio-chemist in his own right. His genius however, lies in the more unorthodox of experiments. Projects a stream of ethereal goo in front of Poppollock. Enemy units hit by the goo are slowed and take damage over time. Goo lasts several seconds. Poppollock's basic attack and abilities have lifesteal effects. 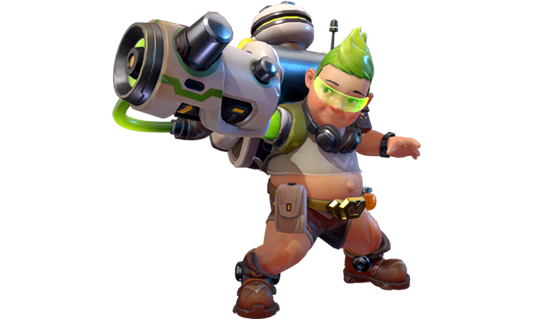 Poppollock merges with the nearest enemy hero, gaining the target's vision and dealing damage every second for a short while. Can change hosts during this period. After charging for several seconds, Poppollock releases an explosion that damages and silences enemy units within attack range. Damage and silence duration increases with charge time. This skill can be manually detonated during the charge period. This cyborg space slug can harness the powers of void energy. Handle with care as it's source of volatile explosions. Flamas launches an inferno ahead of him, dealing damage to enemy units. Flamas calls forth a magma quake, damaging and stunning enemy units in the target area. Increases Flamas' movement speed each time he uses an ability. 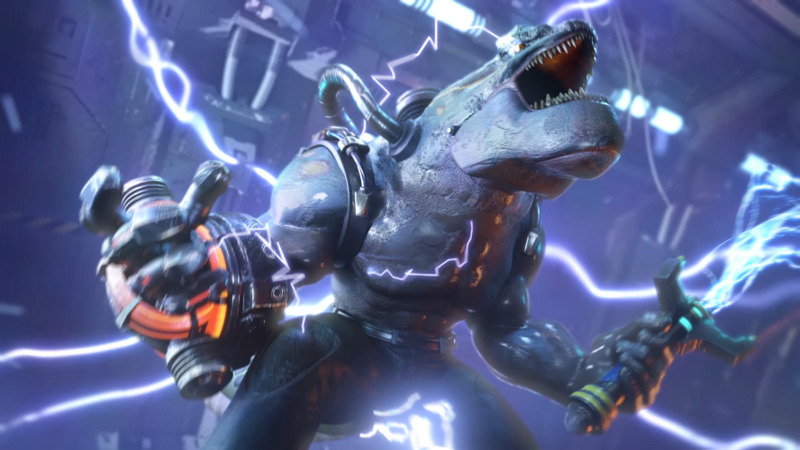 Enemies who take damage from him have their energy resistance reduced. Effect stacks until maximum is reached. Flamas fires a pyro blast at an enemy target, dealing massive damage. Blessed with natural fire-wielding abilities, Flamas can summon flames with insatiable hunger. 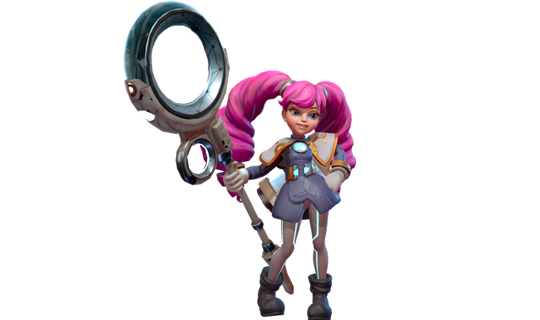 Leda fires a bubble of light ahead of her that damages enemies in its path. Trigger the skill a second time teleports Leda to the bubble's location. Distorts spacetime in a region around Leda, damaging and silencing enemies. Leda transforms into an extradimensional crystal, becoming invulnerable. She cannot move or attack while in crystal form. She instantly reverts to her regular form upon using items or abilities. 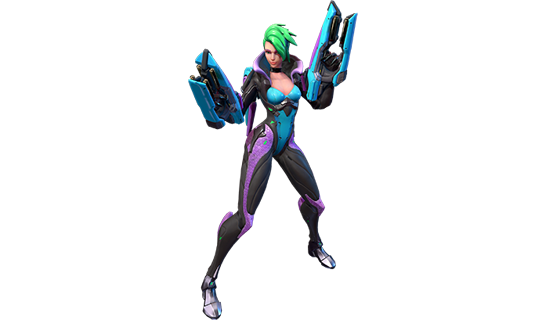 Leda uses her phase disruptor to create a spherical barrier of relativity, stunning and damaging targets. If a target moves out of the barrier, they are stunned a second time. What can be more harmless than a cute little girlscout blowing bubbles? This one is not as naive as you think! Slows an enemy unit and deals damage over time. Effects stop when the target is too far away. 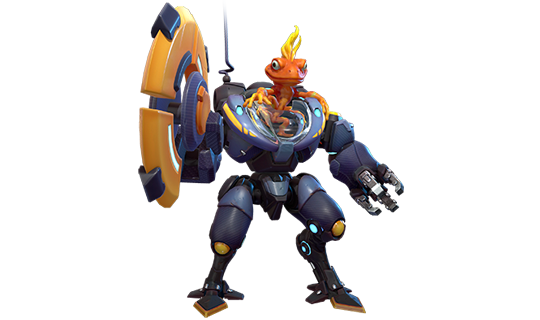 The damage dealt is converted to health and is based on the target's maximum health. Causes an enemy unit to go insane and attack any nearby unit (friend or foe) for a short time. Insanity lasts longer on regular units. William's basic attacks and abilities infect and damage other enemy units around the target. Secondary infections deal less damage and last for a shorter duration. William takes control of an enemy unit, dealing damage over time and regaining a certain percentage of the damage dealt as health. Performing any action during this time will interrupt this skill. A scientist from a cursed bloodline, he might tell you his story while quenching his thirst with your blood. Binds an enemy hero with a flux shackle. 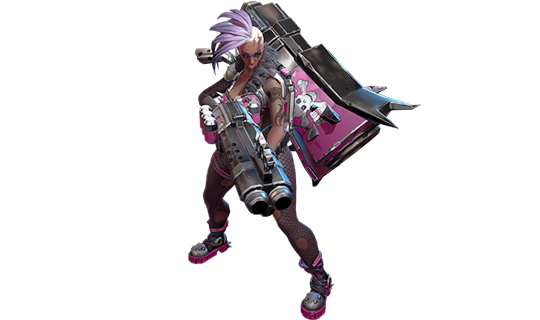 The shackle can be detonated with other abilities, causing damage. Cloud Chariot (Ascend): After a 3 second charge, Zeus ascends to his chariot in the clouds. Cloud Chariot (Descend): Zeus descends to the target location, slowing and damaging nearby enemies. Fires a lightning bolt at target area, dealing massive damage. 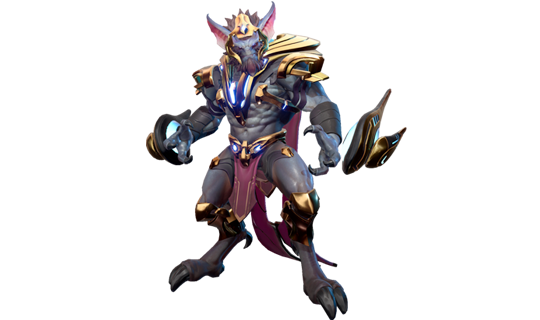 Zeus calls on the power of the heavens, dealing varied damage to enemies in a radius with three expanding rings of lightning. Units closer to the epicenter take more damage. Supreme ruler of the Pantheon, Zeus preserves order with thunder and lightning. Damages nearby enemy units and heals friendly units. 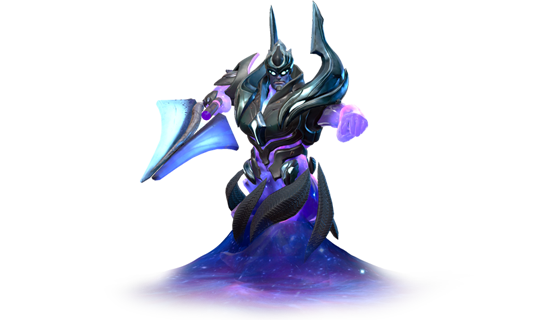 Hades' aura deals base true damage and additional damage corresponding to a percentage of maximum health to nearby enemies every second. 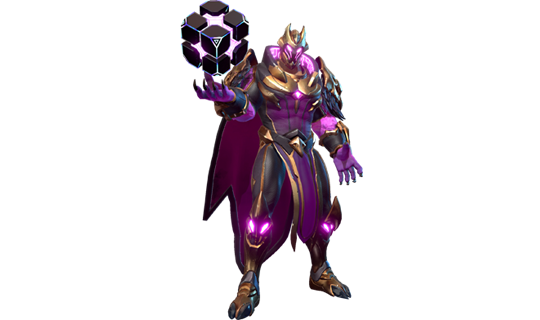 After killing regular units, Hades regains health and energy for a short while. Regeneration rate is couple times higher after killing heroes. Calls forth a spirit of the undead, dealing massive damage and stunning the target. If this skill kills the target, Hades' ability cooldowns are reduced by several seconds. Lord of the nether realm. The scent of death surrounds Hades and all those who cross his path despairs. Releases the fires of the sun at a target area, slowing all enemy units and dealing damage over time. 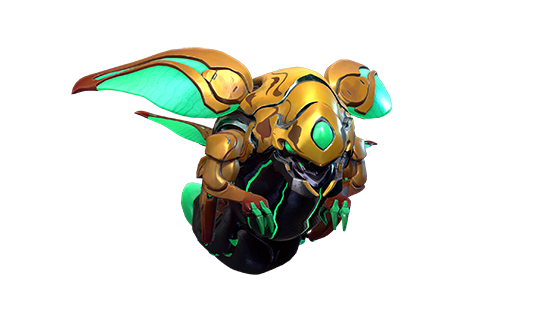 Apollo's radiant arrows have a chance to stun the target and deal additional damage. Apollo's golden bow allows him to make full use of his archery abilities, greatly increasing his attack range. After charging, Apollo fires a blazing arrow at his target, dealing massive damage. Charge period increases with distance to the target. Apollo is the god of sun and light. No dark evil can escape his bow. Fires a shock wave directly ahead. 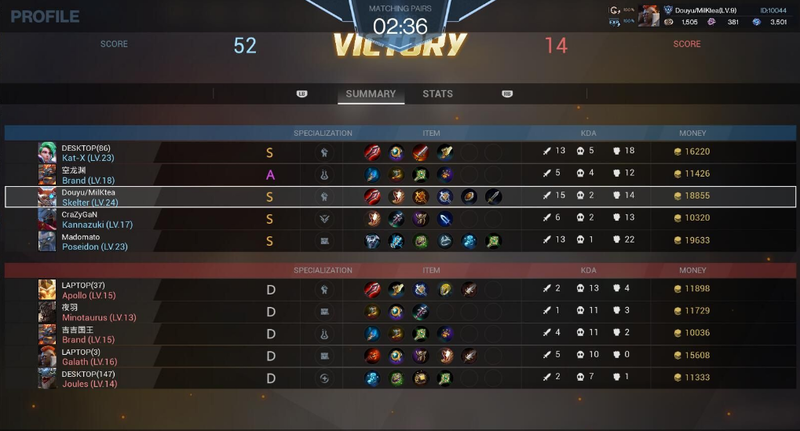 When in War Goddess state, Athena gains 35% lifesteal. Damages and stuns an enemy unit. Range is doubled when in War Goddess state. Increases Athena's armor by a set percentage, which is doubled when in War Goddess state. Basic attacks are enhanced, dealing additional damage and slowing the target. 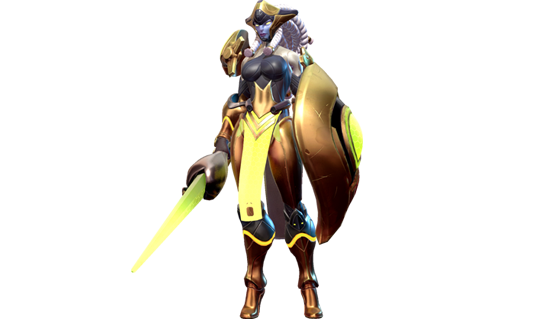 Athena transforms into the Goddess of War, giving her a ranged attack that deals splash damage. Passively enhances other abilities. Balancing wisdom with fortitude, she is the embodiment of the Goddess of War. Skelter strafes the ground with satellite-mounted lasers. Heroes in the strafed area take damage and are rooted. Increases Skelter's vision range, increases his attack range, and gives his attacks true strike. After killing a unit, Skelter's attack damage and movement speed are increased for several seconds. Effects stack until maximum stack is reached. His attack damage increases permanently after killing a certain amount of creep and heroes. Skelter fires his superlaser array in the target direction, damaging enemy units. Laser damage decreases by a certain percent each time the bolt passes through a unit. Whoever thought it's cool to let a raccoon become a scientist is crazy. Just not as crazy as this raccoon, armed with a glider and a ray gun. 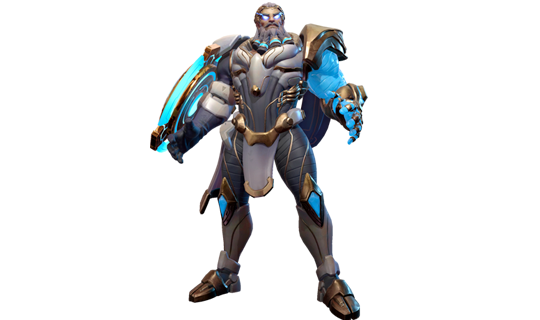 Poseidon transforms into a wave and charges forward, damaging all enemy units in his path. Poseidon is invulnerable in this state. Poseidon calls upon the power of the sea, striking his target with the force of a tidal wave. Deals damage and stuns the target. The closer the target is, the longer it's stunned. Target can be stunned for 1.5 seconds max. Poseidon is nourished by the sea, continuously regenerating health and energy. Regeneration doubles when Poseidon's health or energy drop below a certain point. Poseidon calls forth a tsunami around himself, slowing nearby enemy units. After a short period, he releases a powerful column that launches enemies into the air. Overlord of the seven seas, Poseidon's trident is the force of his powers. He is a formidable foe who has surfaced from the depth. Shadow strike damages targets and silences them for a short period. Nameless lunges forward in the target direction, damaging enemies in his path. Once his movement speed reaches a certain amount, Nameless gains additional increased speed and distance, stunning enemies in his path. Increases his movement speed. Once his movement speed reaches a certain amount, Expert Footwork increases his dodge chance. 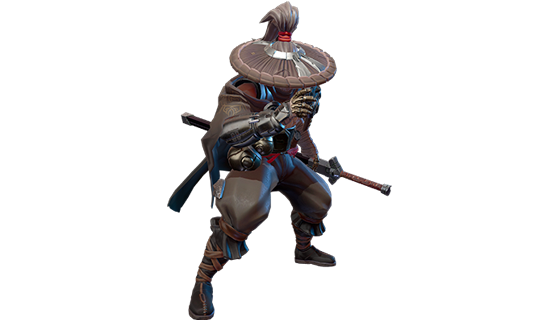 Calls forth shadow clones that deal massive damage to enemies within attack range. A ronin of the new age, nothing much has changed in his custom. Nameless kills from the shadows and fades away. The only hint to his presence is the glow of his energy blade. Elvira throws a frost shuriken at her enemy, it explodes after a short while, freezing the target and other enemies in a 300 radius. Elvira uses her powers to form a protective cryogenic shell around a friendly hero within a range of 400. If the sphere is hit by an enemy attack, it decreases the attack speed of the assailant. Elvira enters a cube of ice that protects her from all damage and restores health every second. Exiting the cube slows and deals damage to nearby enemies. She can exit the cube after 1.5 seconds of casting the skill. Elvira creates a deep freeze zone around herself. 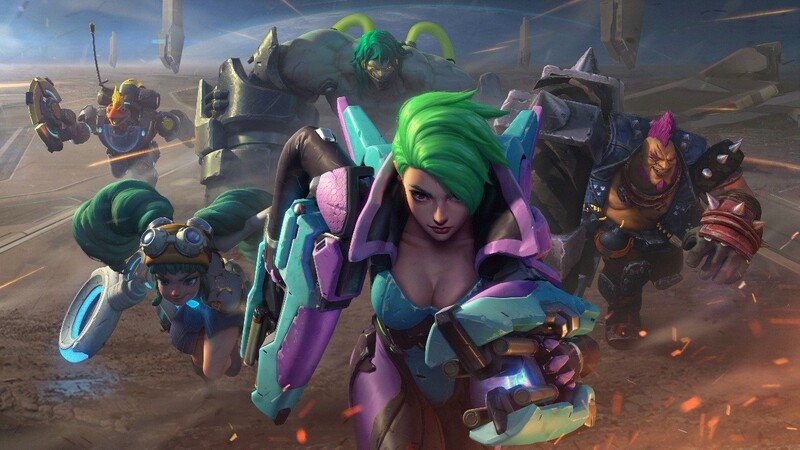 Enemies are slowed by 30%. After 2.5 seconds, all enemies in the zone are frozen solid. Frozen enemies shatter 1.5 seconds later, dealing damage and slowing them. Elvira is the young queen of a barren wasteland far in the north. She is on a quest to find a new home for her people and where she goes, snow and frost from the north follow. Captain Jones fires a mechanical harpoon in the target direction that drags back the first unit it touches. If the harpoon catches an enemy unit, it instantly deals damage. Summons two tentacles around the target (or around Captain Jones, if no target is present). Tentacles randomly attack nearby enemies (targeting enemy heroes first), enemies hit 3 times in a row will be ensnared. 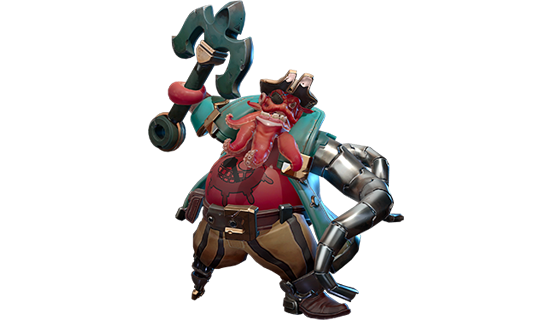 Captain Jones receives extra gold for killing enemies, and has a chance of digging up buried treasures (treasures can be picked up by both friendly and enemy heroes). Captain Jones slows and marks a target. After 2 seconds, a massive, enranged kraken throws the target into the air and deals damage to nearby units. The kraken assists Captain Jones in battle for a few seconds. A rapacious space pirate, Jones is the kraken of his industry. None escapes his ever-reaching tentacles.